Skins provide low profile protection with no bulk and protects your GoPro HD Hero 2 (Professional Camera) from scratches. The unique weaved adhesive allows for fast, easy and accurate application, and goo-free removal. Make your GoPro HD Hero 2 (Professional Camera) uniquely yours. iStyles GoPro HD Hero2 Skin design of Military camouflage, Camouflage, Pattern, Clothing, Uniform, Design, Military uniform, Bed sheet with gray, green, black, red colors. Model GPH2-FCCAMO. 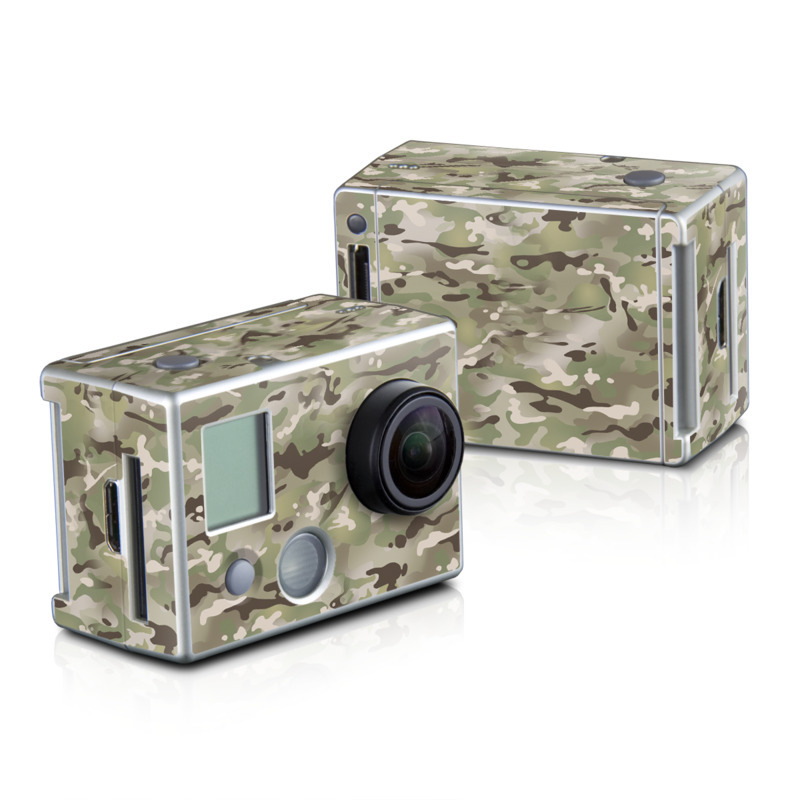 Added FC Camo GoPro HD Hero 2 Skin to your shopping cart.